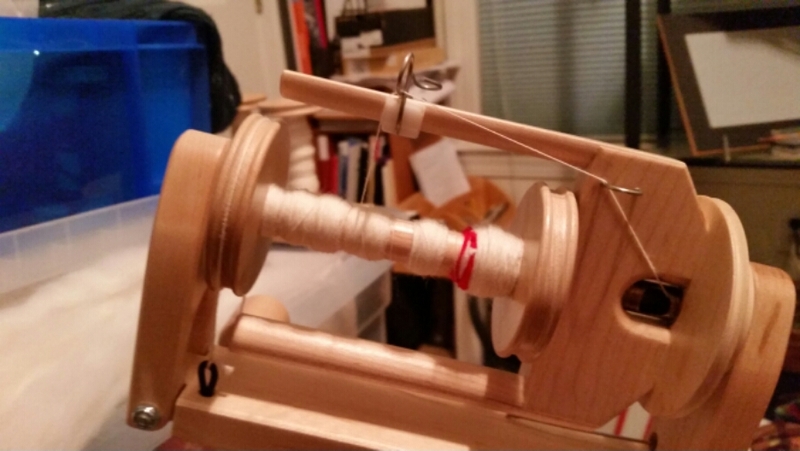 I got an excellent start tonight on the third bobbin for this 3-ply I’m working on now. Work is very busy and pretty crazy right now, so tonight in particular I really appreciated being able to put everything else on “pause” and spin. This entry was posted in Art, Fiber and tagged Arts, beginnings, creativity, Spinning. Bookmark the permalink.